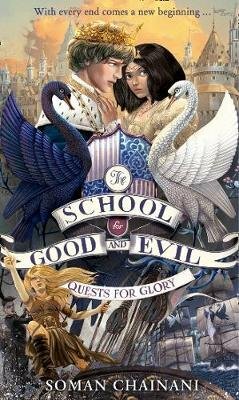 Before they can graduate, the students at the school for Good and Evil must complete their Quests for Glory. The quests are both dangerous and unpredictable, and the stakes are high: success brings eternal adoration, and failure means obscurity forever. If Good and Evil can’t find a way to work together, can either side survive? Agatha, Tedros and Sophie are back in this action-packed fourth adventure in the School for Good and Evil series.